30th October, (Guwahati), Miao: The Diocese of Miao proudly brings to its friends one of its true success stories, hoping that this would inspire many to be a part of such true inspiring success stories of our Diocese. An illiterate and poor girl from an interior village of our Diocese now is a certified fashion desginer from the “Usha International”, training ’20 to 30 girls everyday’. She is one of the many examples of the success stories that the Diocese of Miao has created. “Even now I can not believe myself” sums up one of the real success stories of the Diocese, located in the eastern most corner of India, bordering Burma and China. “My name is Julie Siksa belong to Tutsa Tribe from Konsa, Arunachal Pradesh. We are six children in the family. Having only one brother, all the possible love was showered on him and we girls had to work very hard to keep the hunger from our door. I never got a chance to go to school as my elder sister got married very young and I had to take care of the younger sibilings while parents were in the field. Once the Sisters of the “Missionaries of Charity” came to visit our village and seeing me they asked me if I wanted to work with them. I readily agreed as we were facing financial problem. I thought I can help my parents with whatever little I earn. I started to look after the small children in the centre. I worked there for 2 years. After grown up a little more, worked as a kitchen girl with the fathers in Tezu. By now I learnt the kitchen English and started to speak to the visiters and even to the fathers. Great turning point came into my life when Fr. Thomas (Erambil), Parish Priest of Tezu told that in WDC (Women Development Centre) there is a provision that any girl above 14 years can complete class X. Without knowing much I said yes and he reached me without realizing that I should pass class VIII to write class X through NIOS (National Institute of Open Schooling). Very first day sisters started to teach us spoken English and I was able to speak in my broken English. After two weeks they started to give us some home work and had to complete the lessons. When I told them that I am not able to read or write as I have not attended the school Sr. Betsy was in shock and she advised me not to proceed with the class instead to learn cutting, and stitching. Sisters encouraged me not to return to the village without one trade and with much reluctance I joined VTC (Vocational Training Centre). Three months of training gave me some faith in myself. Again my Bishop George sdb of Miao diocese helped me to do fashion design and I secured a first class certificate from “USHA International”. 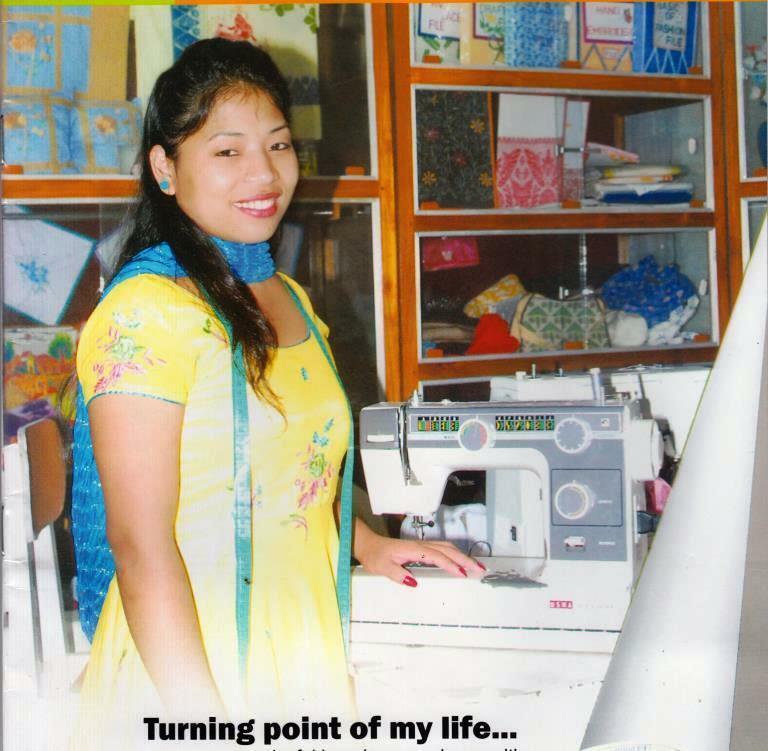 Seeing my capability, sincerity and zeal to work, sisters appointed me as a tailoring mistress in the centre. I have to handle 20 to 30 girls everyday. We also take order work like school uniform and night dress besides other work. Even now I can not believe myself, not only in VTC but give training to the village women for 15 days on kadai work as sisters arrange in different place. Now I feel proud that I could help those illiterate women like me and earn a better living.